« For decades, women on the Pill suffered. They didn’t have to. The rate of pregnancy-related deaths in the United States is rising, and black women face a higher risk. Charles Johnson IV took out his cellphone, as he had done many times before, and recorded his wife lying in a hospital bed while she held her newborn. Kira Johnson had just given birth to Langston, the Johnsons’ second child, and she was glowing. Johnson, then 36, wanted to record every moment. He had also filmed the birth of their firstborn, when they went on their vacations together, in concerts they had attended — this was his way of preserving his family’s happy moments. But that 2016 video, which he keeps on his cellphone, was the last one he made while Kira was alive. She died hours later of internal bleeding caused by a lacerated bladder that happened when doctors performed her C-section, Johnson said. The Johnsons’ story depicts a blunt truth about women’s health in the United States — about 700 women die a year as a result of pregnancy or delivery complications, data from the Centers for Disease Control and Prevention show. At a time when lawmakers in some states are trying to tighten access to reproductive care for women, the rate of maternal deaths in the United States is rising. 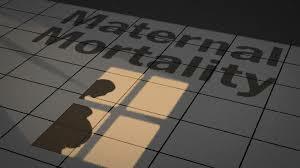 The United States has the highest rate of pregnancy-related deaths among developed nations, a report from the American College of Obstetricians and Gynecologists (ACOG) shows. The stunning figures from the CDC suggest that half of those deaths may have been prevented, and that black women are three to four times as likely to die than white women. The disparity reflects issues that go beyond education and income. In 2018, Beyoncé and Serena Williams shared their life-threatening experiences during childbirth, showing how black women, even international stars who can presumably afford the best in medical care, face greater pregnancy-related risks than their white counterparts. Unlike Kira Johnson, Sinsi Hernández-Cancio knew her pregnancy was risky. She had been on blood-thinners and admitted to the emergency room on several occasions for migraines. Days before giving birth in 2006, she was diagnosed with preeclampsia — a complication that causes high blood pressure and can damage vital organs. “We went straight to the hospital, and they kind of just monitored me for two hours,” Hernández-Cancio said. She was later told to go home. But a few hours after, she was told to return to the hospital to avoid possible seizures and informed that her labor would have to be induced. “After about 20 hours in labor but not a very effective labor, they finally decided that we had to do a C-section,” she said. Three days after giving birth successfully, she said she was dismissed from the hospital despite complaining of a fever. Within three hours of being home, Hernández-Cancio had to be admitted again. Hernández-Cancio, who was born in Puerto Rico, believes her experience is an example of gender and racial disparities in health care. Charles Johnson believes those disparities also contributed to his wife’s death. “When I was first asked the question, do I think that this happened because Kira was African American, because she was black, I was in so much pain that I couldn’t process the fact that she was no longer here because of the color of her skin,” Johnson said. Months after his wife died, Johnson traveled to Washington and began meeting with lawmakers and activists to enact laws that would help prevent mothers from experiencing unnecessary childbirth-related deaths. One factor in her death, he said, is that it took about eight hours of pleading for physicians to notice something was wrong before taking her for an emergency surgery. “It haunts me, the fact that if she had been Caucasian that she might have been taken back to the operating room” an hour earlier, two hours earlier — “that they might have made a little bit more effort to save her life and that she would be here with her sons today. That’s a difficult thing to process, and that’s extremely painful,” he said. for immediate assistance by a health care provider near you. Please visit OBGynOffice.com for an office near you.